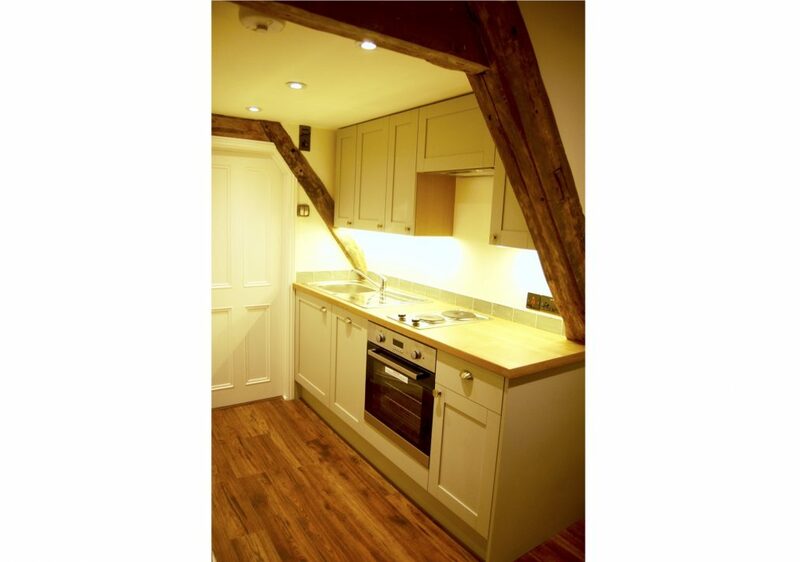 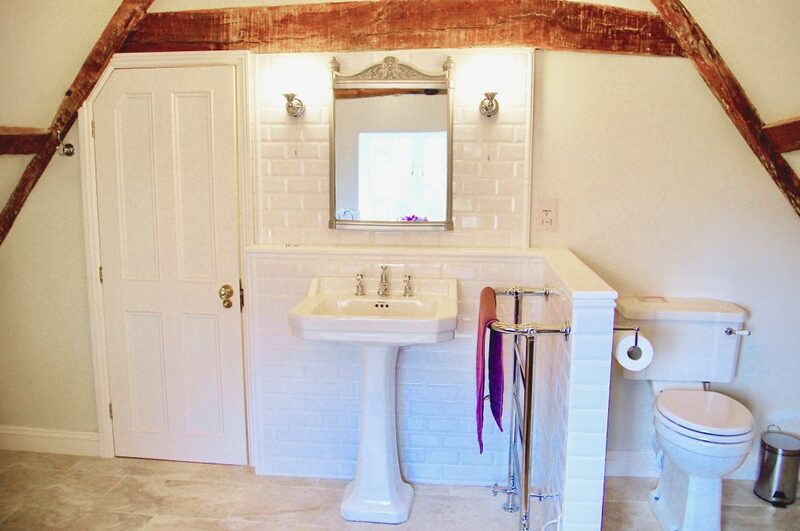 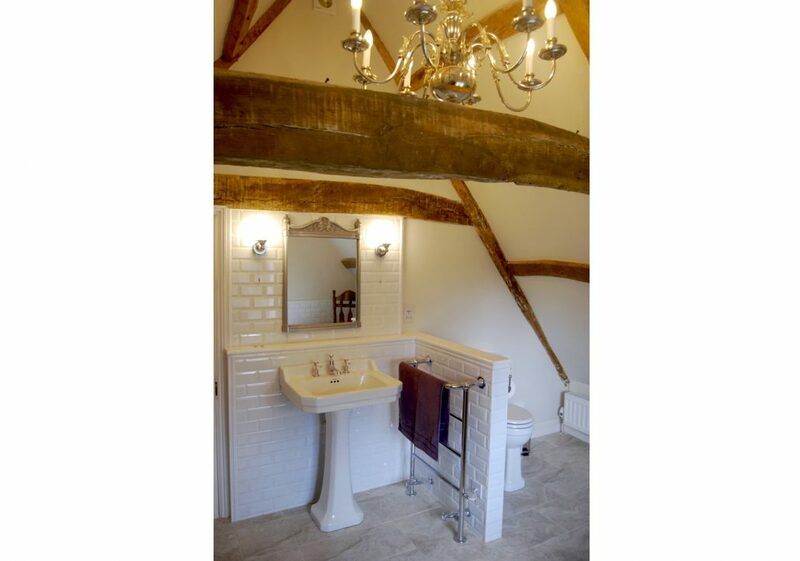 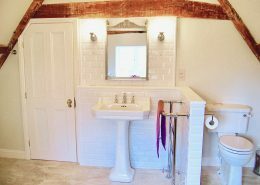 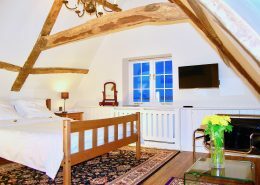 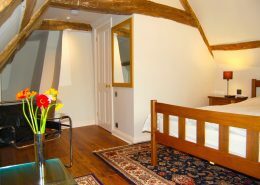 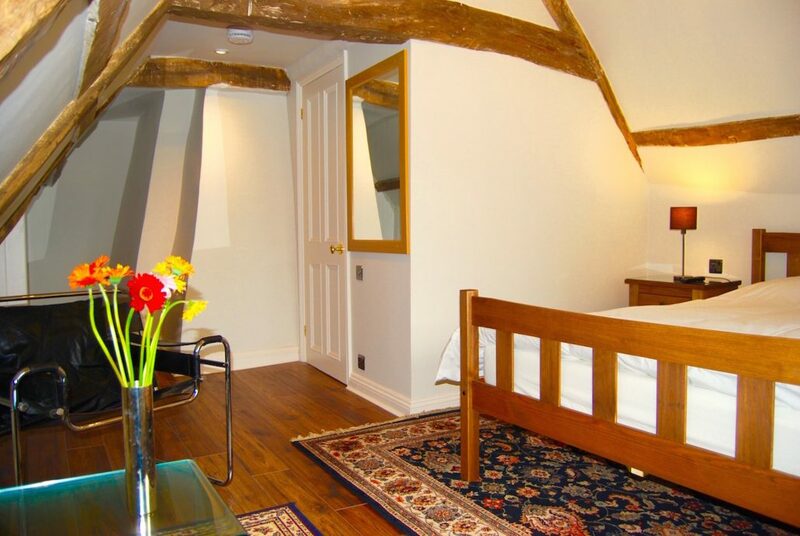 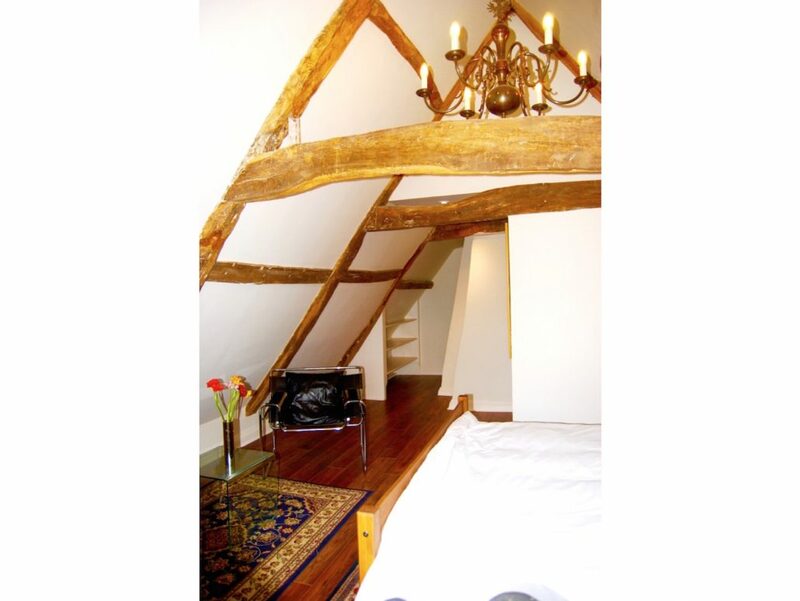 The East Wing appartment is situated in the oldest 16th century part of Swafield Hall, with the luxurious bathroom. The apartment sleeps 2 and contains a 20 sq. 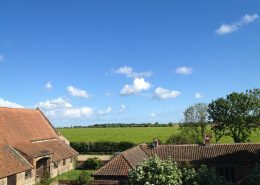 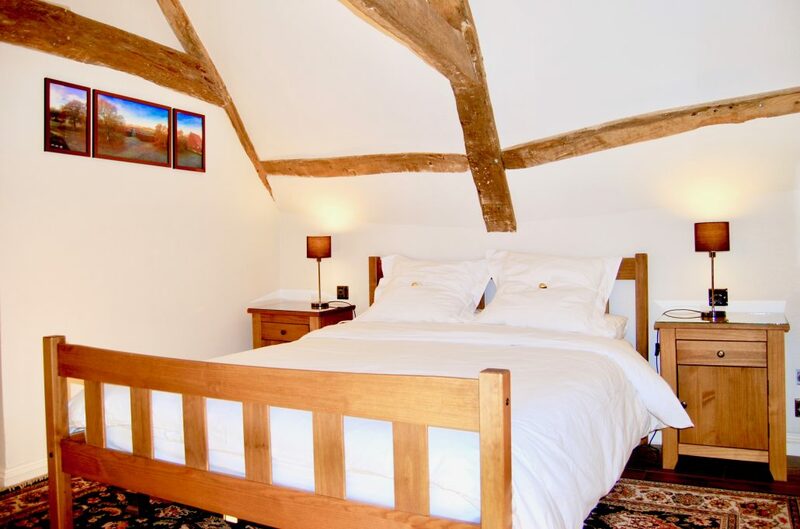 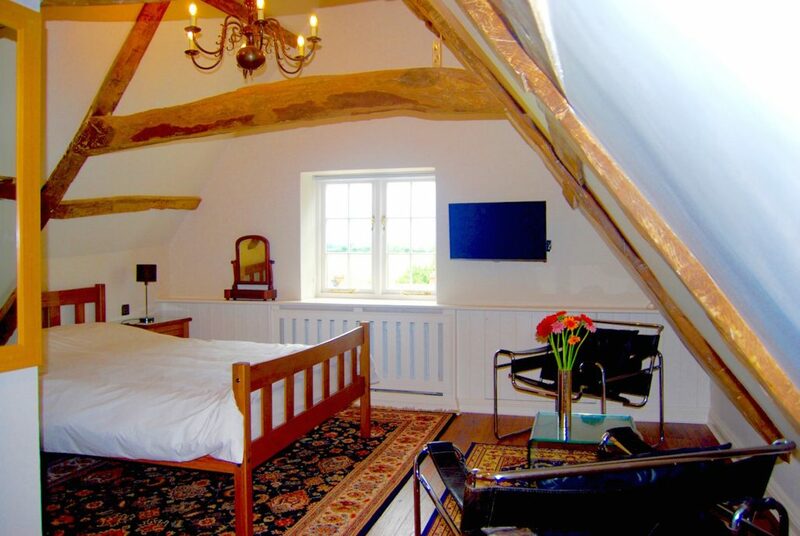 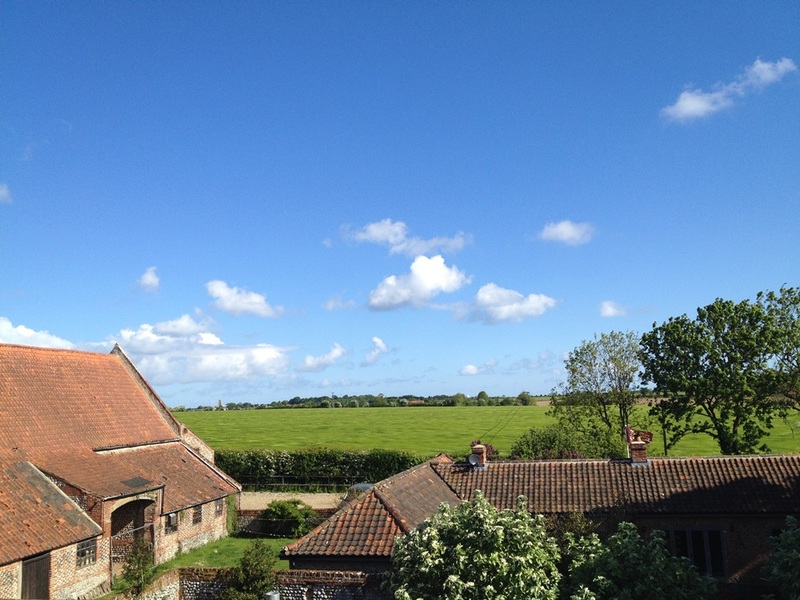 m bedroom (with a fabulous view over the fields to St Botholph Church in Trunch), kingsize bed, original exposed oak beams, compact lounge zone, flat screen TV on a bracket (to watch TV in bed or from the lounge zone) and an antique chandelier. 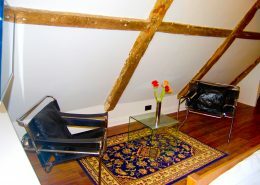 The large (18 sq. 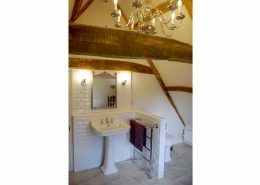 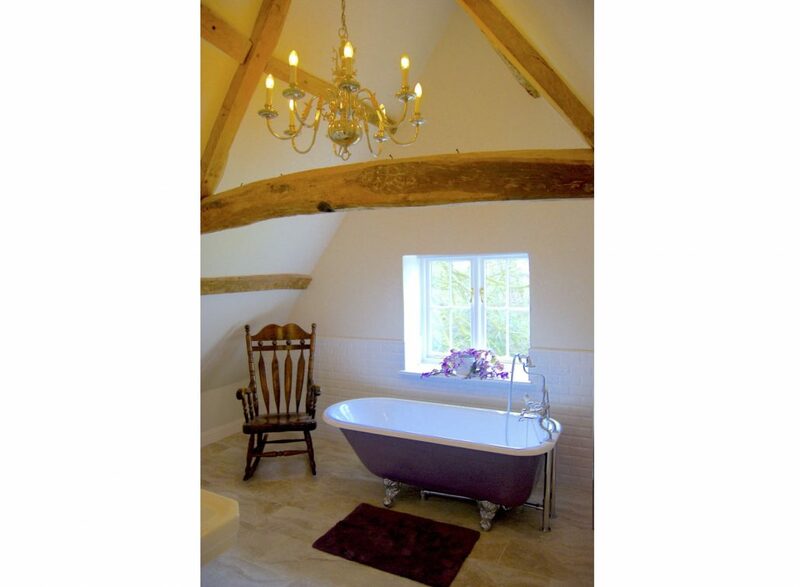 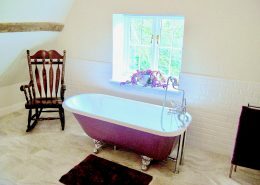 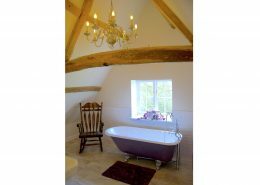 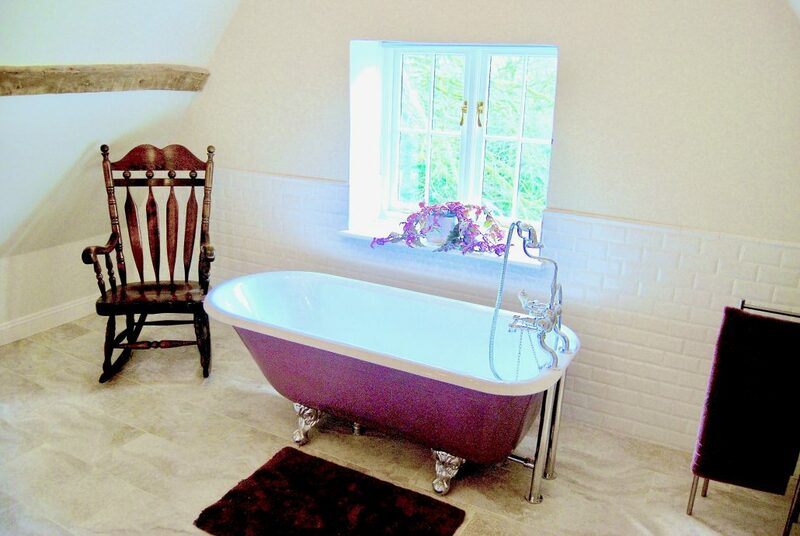 m) bathroom is in Victorian style, with a free standing bath near the south facing window, rocking chair and an antique chandelier. 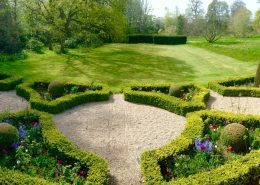 You can enjoy the stunning view to the parterre and main lawn while taking a bath and afterwards resting in the antique rocking chair having a cocktail mixed at the bar desk. 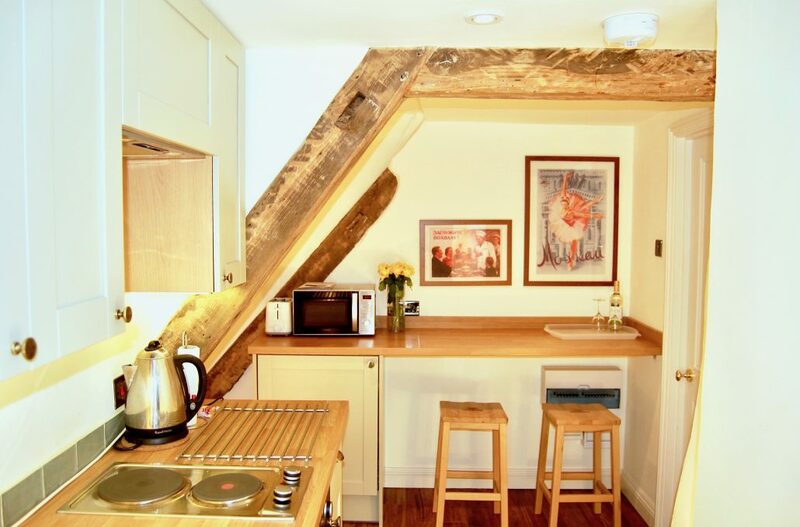 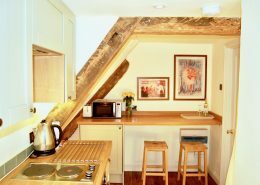 There is a private galley style kitchen with a stylish breakfast bar. 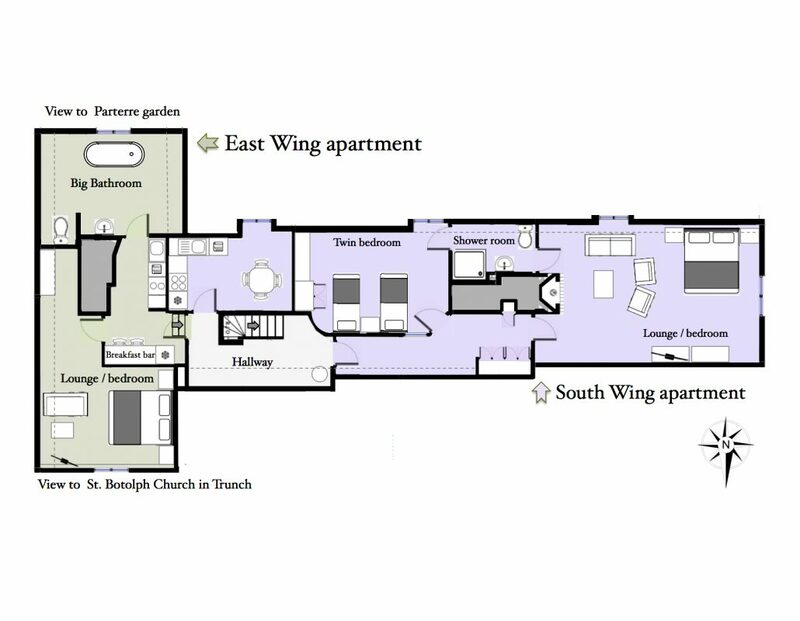 To access the apartments you pass through the historical interiors of Swafield Hall. 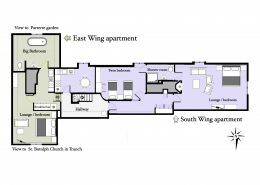 The East Wing apartment is situated on the second floor, with easy access via the 18th century main staircase, the first floor hallway and the upper staircase. 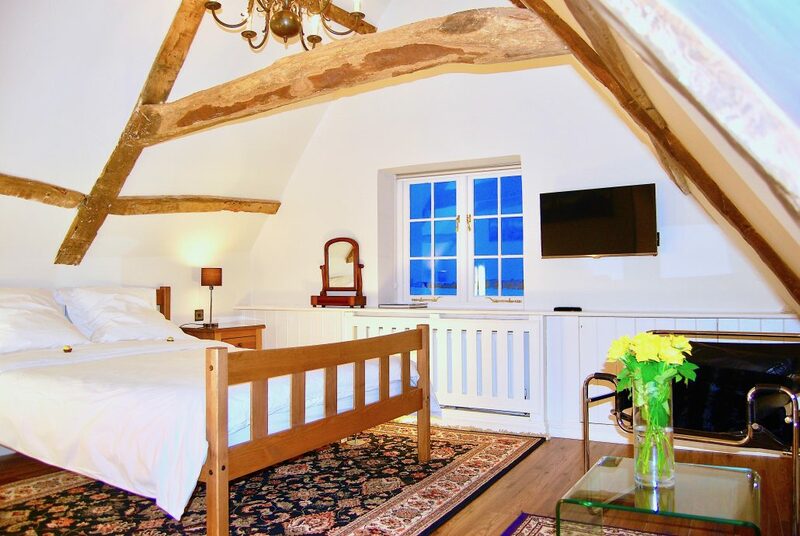 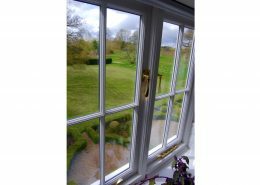 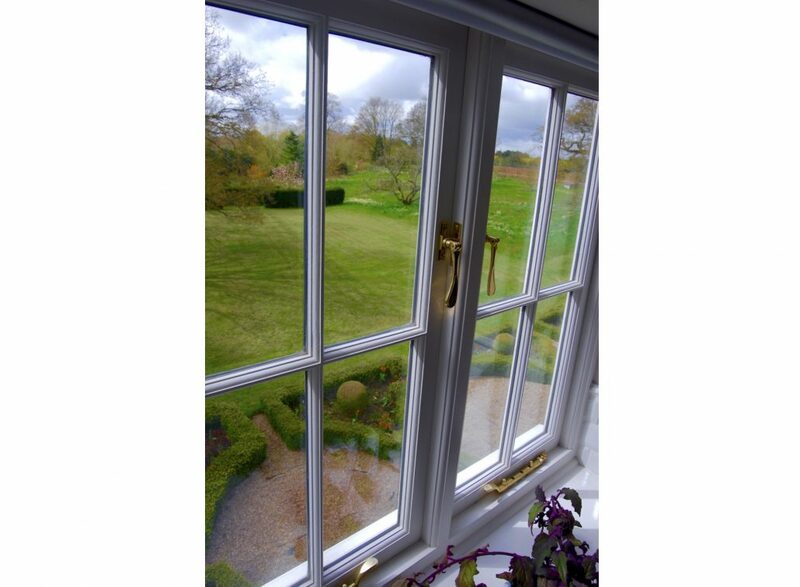 The top floor location allows you to enjoy stunning views from all of the windows. 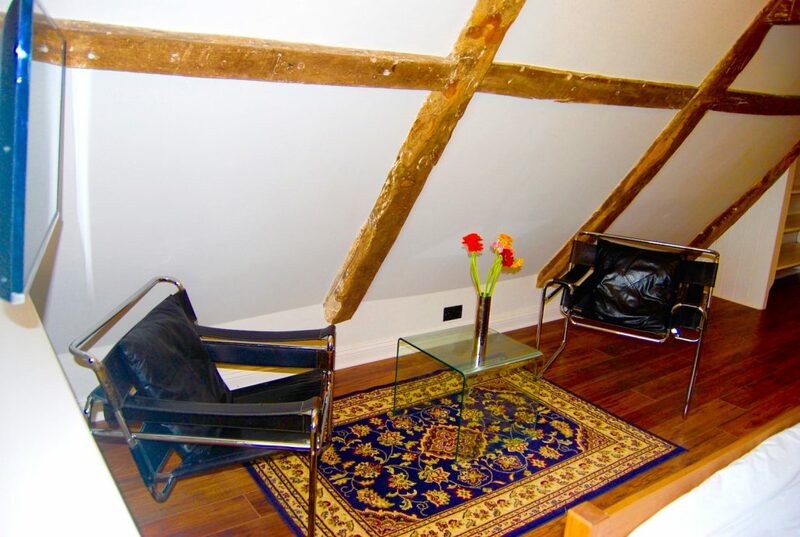 The top staircase and some floors upstairs are covered with high-quality soft carpets. 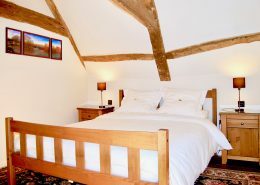 You can bring your own sleepers for upstairs or use the ones which are provided.